MacGyver is in Lakota territory on behalf of the Phoenix Foundation to provide research used in solving a land dispute between Native Americans and an energy company. The Lakota lawyer, Whitecloud, loses in court but plans to sabotage the energy company which has engaged in fraud. MacGyver gets shot and experiences an Indian vision which helps him to find evidence of the fraud and stop Whitecloud from blowing up the energy plant. The climactic scene at the energy plant is exciting where MacGyver defuses the bomb and Whitecloud "counts coup" on the Energy CEO. And the young Indian boy from the vision who witnesses everything adds poignancy. It's actually not MacGyver's 8 minute Indian vision if you can believe it. Quick tangent: I remember watching this episode one day in my college dorm room and my roommate walked in right as this scene was going on. He mercilessly mocked it and thought it the most ridiculous thing he'd ever seen - MacGyver having a vision with an old Indian and seeing a young boy glow in the middle of the river. Probably 95% of people would have this same reaction, and I can understand why, but I still like this scene and find it emotionally powerful. Which brings me to my lowlight, which is related to the scene. After the vision, MacGyver finds that his wounds have been taken care of. Also the evidence implicating the energy company is in the cave next to a dead wolf. Then at the end of the episode, MacGyver and Whitecloud look up on the hill and see the old Indian man disappear into thin air, Field of Dreams style. My issue with all of this is that I'm not a fan of the intersection of real-life and magic in tv or movies. I prefer plausibility over magic in my shows, but I say if you're going to go the magic/fantasy route, go all in like Star Wars or Harry Potter. The Indiana Jones movies (first 3) are some of my favorite movies of all time, but I don't care as much for the parts at the end where the magic/supernatural stuff happens. Similarly I remember the first time I saw Pirates of the Caribbean and for the first 30 minutes I thought it was fantastic in its plausibility (which is not the same as probability). But then once they unexpectedly (for me) started turning into ghosts and the whole thing turned into a magic show, I stopped caring. Fortunately MacGyver as a series doesn't delve much into magic/supernatural. I could pass off the Indian vision as a dream, but the magical healing and man disappearing into thin air is too much for me. If you're still reading this, then God bless you! I like how he defuses the bomb with the feather. We see a familiar exterior of the big courthouse that is used in many episodes even though MacGyver is supposed to be in Lakota country. 12 minute mark - a bad decision by the bad guys to start shooting from so far away, and some poor marksmanship as well. If this were N64 Goldeneye they would get Mostly Harmless and Most Dishonorable. Oh no, MacGyver's been shot again! He just got shot last episode! This time, the bad guy is too close to miss, though I suppose his aim could have been better if his goal was to kill MacGyver. This wound is worse than the last one - it's a shotgun blast to the lower left ribs in the same area as the one from Back From The Dead. Let's add it to the Shot Chart. Good performance from RDA here. He seems like he really cares even during the Indian vision scene which as I mentioned most people probably found ridiculous. I also like the performance from Whitecloud. I would have guessed he was Native American but in reality he is Michael Gregory from Brooklyn. We have another bomb timing issue. I mentioned during the last review how the time between the bomb and the show was off, but reader Mark made a great catch in the comments. This episode, the timing is waaayyy off. Whitecloud sets a bomb where the timer spins in a circle like a watch hand. There are 15 lights and a light goes out each time the hand goes around, which takes 6 seconds. 6 times 15 is 90, so the bomb should go off in a minute and a half. Whitecloud sets the bomb at 33:11 in the show, and when MacGyver gets to it at 44:16 there are still 3 lights left! You'll come to learn that I love the rustic, outdoor episodes, and I've always enjoyed Native American culture and themes. Given all that, I don't love this episode (not enough memorable moments), but it is one that I enjoy watching. Coming up next, another "unique" episode! We're pretty close on this one. I enjoyed the episode's first half with Whitecloud's transformation from a cynical, nonreligious lawyer into a warrior following his vision, and he and MacGyver had interesting interactions as they fled from Johnson's hit men in the woods. But I also didn't like the turn in the second half when MacGyver shared Whitecloud's vision, primarily for the same reasons you didn't. 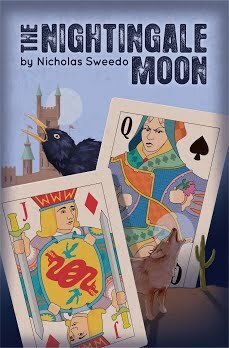 Standing Wolf had some amusing banter but the mystical aspect of it didn't work for me, nor did the closing scenes in the power plant. While I had an explanation for the timing device on the bomb in the last episode you reviewed, there was no explaining away the absurd timing mechanism on this episode's bomb which looked as though it should take about 30 seconds until detonation yet somehow lingered for several minutes. The Indian boy in the factory who metaphorically observed the "counting coup" closing was a nice finish, but this episode mainly reinforced my escalating feelings that the show was tired and old by this point in its run. I ranked it #99 overall. As another bit of MacGyver trivia, this episode and "Humanity", both featuring bombs with oddball timers, were both written by Lincoln Kibbee, a scriptwriter who died a few years later in a very awkward way. He was working on the set of the Fred Dryer series "Land's End" filmed in Mexico in 1995 and was sleeping on the beach. The tide came him and carried him away as he slept, killing him. Very strange ending to a great MacGyver scriptwriter. Wow, that is an odd and sad story. The man who played Whitecloud, according to my mom (and probably IMDb) was on general hospital w/ RDA, back. in the day. Trivia tidbits! I'm not a huge fan of this ep, the vision quest takes too long. I like this episode a lot. Its nonstop action and fun and interesting. I also like the different scenes, especially how it starts with the courtroom. I realized watching this there are more than a couple courtroom scenes in MacGyver. What could people have against the visions? Its an interesting tangent and in the context. It makes it more fun and dynamic than just researching to find the lost map. What should have happened instead? He just breaks into the office to find the map like we saw in "Gunz and Boyz"? Its amazing how inconsistent shooting is in film. The same shot that didnt kill MacGyver has killed other characters. You can actually survive a close range shot of many calibers, and might not even recoil or notice at first, especially in the heat of a moment. To cause someone to die quickly, it takes multiple shots or a perfect shot to the heart or brain. Even then it takes a few seconds. *shudder* One shot, however, can kill, if the bleeding is not quickly stopped. The funny thing is that that close range, the bullet shouldve gone straight thru without causing too much damage, but Standing Wolf somehow pulled it out. Itd be nice if directors paid a bit more attention to how bullets work to avoid the common misconceptions, which could even be dangerous. I thought you were wrong about counting coup, but apparently that is a term, according to Wikipedia. The timer increases by a little bit every time a light goes out. My calculation says it would take 141 seconds rather than 90 if one revolution is 6 seconds. Even if we assume the timing is extended because of showing two things that were happening simultaneously, that definitely is too short. I like Pirates of the Caribbean, but I think you might be right that a nonmagical pirate movie done as well as POTC would be awesome! I didn't comment on this one first time round but have just watched it again as it's just been on UK tv. I rated it at 111 on my list but on reflection, I think I was a little harsh and would probably put it somewhere in the 90's, like Nick. I'm with everyone except Mikey; I didn't take to the dream/vision sequences. MacGyver could have still found the map in the mineshaft and could have been healed by Standing Wolf using ancient medecine but not in such a surreal way. And why was the wolf lying dead (it looked like it had been dead a while!) when MacGyver woke up? There was more excitement than I had remembered but I didn't quite get why White Cloud had planted the bomb when he knew there were a load of people coming to look round the plant and he was let off pretty lightly at the end - bail for arson, planting explosives and threats to kill? The 'counting coup' was an interesting piece of folk lore to look up - thanks Nick for spelling it out as didn't really catch the words from the episode. This episode was not as good as Mask Of The Wolf but I still enjoyed the Native American folklore and, contrary to the majority it seems, quite liked the Standing Wolf vision sequences. The glowing electricity pylon and boy in the river might have been a bit much but probably looked more subtle than if using more modern flashy computer graphics. This is the fourth episode in a row where MacGyver gets really badly injured, I don't know what the writers had against him during this run but poor Richard has a lot of groaning and stumbling to do again! Did anyone else notice the judge at the start was played by William B. Davis who is most well known as The Smoking Man from The X-Files as well as, amongst many other things, an Ori Prior from Stargate! I was just thinking the same about season 6 - the catalogue of injuries is rough on poor MacGyver; shot twice, whacked with a stick, badly burned, caught in a wolf trap and that's not including all the times he's punched! Well-spotted re William B Davis - I knew he was familiar and couldn't quite place him. Yeah I wrote about his injuries in my Blind Faith post -- it's four straight episodes of: burning his hands, the bear trap, fire bombed by Murdoc, and getting shot by a shotgun. They really did have it in for him! 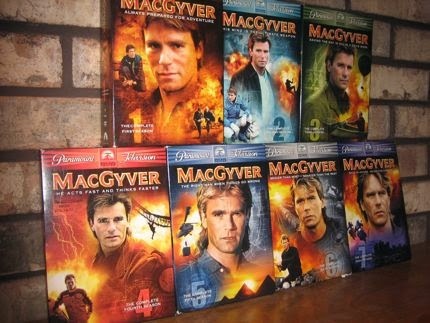 What time is MacGyver on in the UK? I know it's on CBS Action but don't know much about that channel -- is it one that most people have access to? CBS Action is on Freeview, which is standard digital television, so everybody can receive it. I don't know how long it has been going because I only found it when retuning channels last year, luckily enough not far into the run of MacGyver. Episodes are shown at 19:00 and then repeated the next day at 10:00.